A virtual private network (VPN) is a network that is constructed using public wires — usually the Internet — to connect to a private network, such as the campus internal network. There are four different VPN services that support remote access requirements to the campus. The service is automatically available to anyone who has an active campus affiliation with a campus CruzID and Gold password. It provides a full tunnel VPN service that is a secure (encrypted) connection to the UCSC network from off campus. Common uses include access to File Sharing/Shared Drives and certain applications that require a Campus IP address. Session limit is 10-hours. There is no need to request an account for the Campus VPN. All you need to do is follow the VPN Installation Instructions. Request, Change or Remove a Data Center VPN account. You will need to login with your CruzID and Gold password to access the form. And follow the VPN Installation Instructions. This service provides a full tunnel VPN service. This secure connection to the UCSC network from off campus will allow access to the campus network and various divisional resources. Request access by going to the Academic Computing Remote Access web page. When you connect to another site using a VPN, your traffic is encrypted so that if anyone intercepts the traffic, they cannot see what you are doing unless they can break the encryption. Your traffic is encrypted from your computer through the network to the VPN hardware at UCSC. When you are using a VPN connection, regardless of where you are, it will appear to systems on campus that you are also on campus. You will have a UCSC IP address instead of the one you have at home or while traveling. This allows you to connect to resources that you would not otherwise be able connect to remotely. 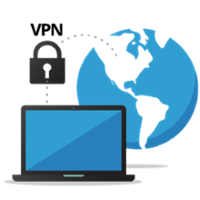 A VPN offers a way for authorized users to mount Microsoft Windows file shares from off campus. The University of California has provided the following resources and best practices when traveling overseas, especially to potentially sensitive locations. When using shared Wi-Fi, stay connected with Campus VPN.